Alon Alroy, Co-Founder and CMO at Bizzabo, the world’s fastest growing event technology company, explores how VR and AR are set to revolutionise the events industry. With each passing year, technology continues to propel the $560 billion dollar events industry to new heights. Whether it be improvements in event marketing attribution, more robust event tools, or stronger event data security, the collective advancement of technology plays a significant role in the evolution of the events industry. This year, among the event trends that continue to shape the space, VR and AR are becoming key catalysts for innovation. What Do VR And AR Have To Do With Events? Technology has the ability to change the way we discuss, attend, measure and interact at events. VR and AR are leading the charge in creating unique and singular experiences for attendees. As the use cases and accessibility of these technologies continue to expand, we should expect to see VR and AR make an even larger impact in the years to come - and reach an even wider audience of conference goers with more engaging and interactive experiences. Venues and hotels will use VR to create virtual tours of their spaces saving organisers the need to have an on-site visit before booking. Event attendees will also be able to tour the venue before they decide whether they want to attend an event. Video streaming solutions are making it easier for people to network and learn remotely. With advancements in telepresence and robotics tools, event organisers can make it easier for people to attend an event remotely. 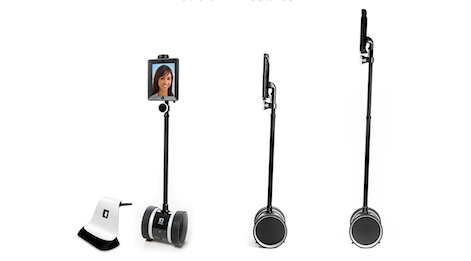 For instance, Double Robotics developed a remote controlled robot equipped with an iPad, enabling attendees to interact with other event goers at a trade show. Meanwhile, a growing number of video streaming solutions are making it easier for people to network and learn remotely. Services like Zoom, GoToMeeting and Google Hangouts are perfect for one-on-one conversations and meetings. On the other hand, services like Livestream, Ustream and Facebook Live are becoming more prevalent for streaming higher profile events such as user conferences. These higher-end services now often come with their own dedicated streaming equipment that can be used to stream content as it happens or to record it for later release. Social Media Marketing World, Looker’s Join and INBOUND are just a few examples of in-person experiences that are leveraging video streaming solutions. AR can truly enrich event experiences through headsets, glasses or, in the future, even contact lenses. What if you could give an event attendee turn-by-turn event directions? What if attendees could know who they're speaking with simply by wearing a headset equipped with facial recognition software? AR can truly enrich event experiences through headsets, glasses or, in the future, even contact lenses paired with AR-enhanced event software. The versatility of AR and how it can be applied through different devices makes it a very useful technology for event organisers and attendees. 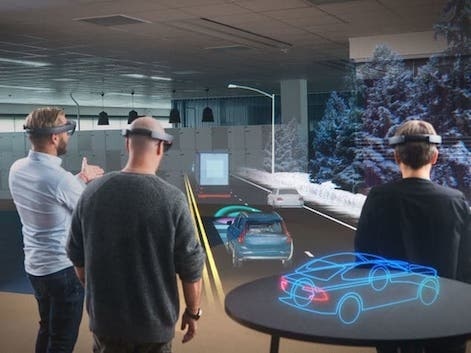 In fact, AR is already being used at events, such as within the automobile industry. Venue spaces for trade shows often require hundreds of thousands of square feet to accommodate all of the different vehicles on display. Augmented Reality could make the need for giant venues a thing of the past. Companies like Volvo are already working on AR technology that would provide potential customers the ability to engage with their cars through headsets. VNTANA is an interactive hologram technology company that is building a hologram car configurator that will allow consumers to actually see themselves inside their dream car. At Computex, one of the world’s largest tech trade shows held in Taipei, Intel recently announced their new AR processor ship using VNTANA’s telepresence hologram technology. Gregory Bryant, Intel’s GM of connected home and commercial clients, appeared on stage as a hologram, addressing the audience and answering questions in real time. The clarity of his image as well as the immediacy of his responses made it seem as if he were actually on stage. VR is a great way to educate key stakeholders on an organisation's brand, product or services. VR is a great way to educate key stakeholders on an organisation's brand, product or services. Bosch, one of the world’s leading engineering companies, embarked on an event roadshow to educate auto technicians about their new gasoline direct injection system (GDI) and QuietCast brakes. To get a more ‘hands-on’ experience with these new systems, the technicians wore a VR headset and were placed in scenarios in which they had to use Bosch’s automotive parts. For an example of how an organisation can leverage VR at a tradeshow or conference, consider beer. 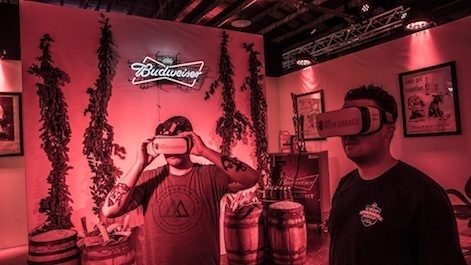 At SXSW, Anheuser Busch used VR to give consumers a full tour of their brewing plant. But this wasn’t just a VR experience, it was a full sensory experience. When attendees entered the refrigerator of the brewing plant, cold air was blown at them. When attendees entered the hops room, Budweiser employees would hold a jar of hops under the participant’s nose. This entire experience helped participants become more aware of the Budweiser brew process, developing a deeper understanding of the product and brand. VR and AR stand to redefine event experiences. It’s never been a more advantaged time for VR/AR software and hardware developers to explore the possibility of partnerships in the billion-dollar events industry. 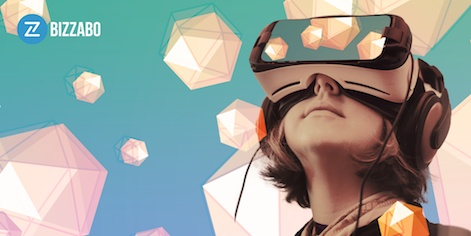 VR and AR present innovative new opportunities for event organisers to create truly novel experiences that engage and expand their reach to audiences globally. But that’s just the beginning. VR and AR stand to redefine event experiences and how attendees engage with one another, speakers, sponsors, exhibitors and more. 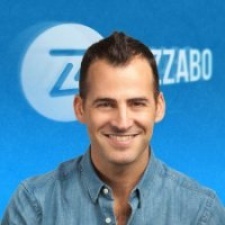 Alon Alroy is the Co-Founder of Bizzabo, the world's fastest growing event technology platform. Alroy began his career at the Israeli Air Force, where he served as a team commander for six years. Prior to founding Bizzabo, he was a senior start-ups analyst at ISP Financials. Alroy graduated with high honors from the Interdisciplinary Center Herzliya, where he did his BA in Business and LLB in Law. He was selected to participate in the prestigious Zell Entrepreneurship program, and in New York's exclusive Venture Fellows Program. Alon was named one of the meetings industry's 40 Under 40 Young Leaders, as well as one of the top 10 Israeli CMOs by Geektime Magazine.